At Loveland Gutters, we know everything there is to know about repairing or replacing the fascia boards on your home. We believe that a strong gutter system starts with a strong foundation, and the fascia boards are the foundation of your gutter system. Fascia boards are the boards that run along the sides of the rafters on the roof and structure of your home. These boards are where the gutter system for your home is attached the actual structure. This is where Loveland Gutters comes in. A sturdy fascia board ensures that your gutter system won't become detached from the home or damaged. Over time, fascia boards can rot, become damaged because of any number of reasons. When this happens, your gutter system is immediately put at risk. If your gutters become compromised, you may be looking at costly repairs. By simply replacing damaged fascia boards, you can avoid any potential damage to your home or gutters. Whether you are looking to remodel, or simply repair, Loveland Gutters provides the very best fascia board repair and replacement service you will find on the front range. 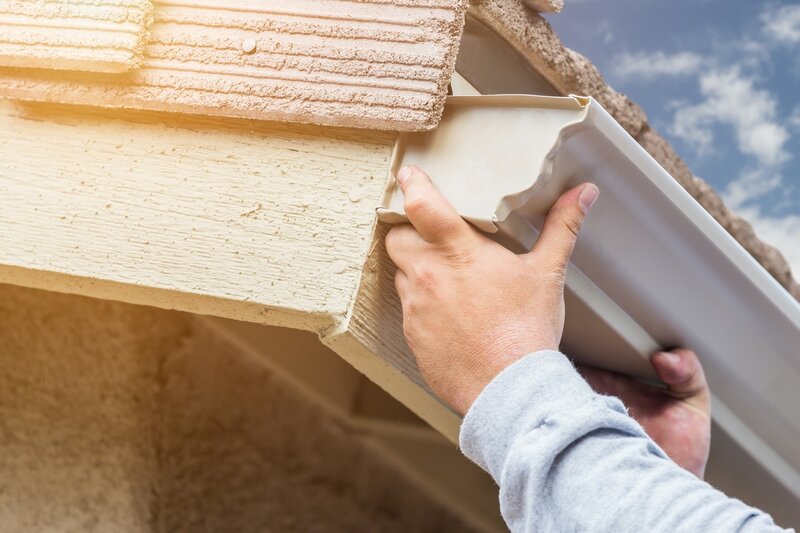 Our gutter technicians are highly trained in the most up-to-date practices in cutting, measuring, and securing fascia boards for all types of homes. By installing fascia boards with Loveland Gutters, you can be sure that your fascia boards won't rot or become detached. Call us today if you are looking to remodel your fascia board or are in need of gutter installation! Loveland Gutters is the best fascia board installation, repair, and replacement company in Loveland, CO.